Land Rover vehicles come from a long history of carefully developed, road-conquering machines. With such carefully crafted interiors and exteriors, Land Rover vehicles have the ability to last a lifetime, which is why when you purchase a Certified Pre-Owned Land Rover you’re investing in a new member of the family, not just another car. 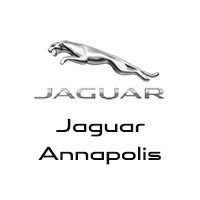 Long lifespans, impeccable style, and luxury all at a highly competitive price from the crew at Jaguar Annapolis, what more could you ask for? Stop debating and take action. You’ve seen the low prices and amazing condition of these Certified Pre-Owned Land Rover, now it’s time to get behind the wheel of your very own. Don’t be one of the only Baltimore drivers on the road without one. To truly experience a Land Rover in all of its glory, stop by Jaguar Annapolis today and take one of the most unforgettable test drives of your life. Just be warned; you will fall in love.